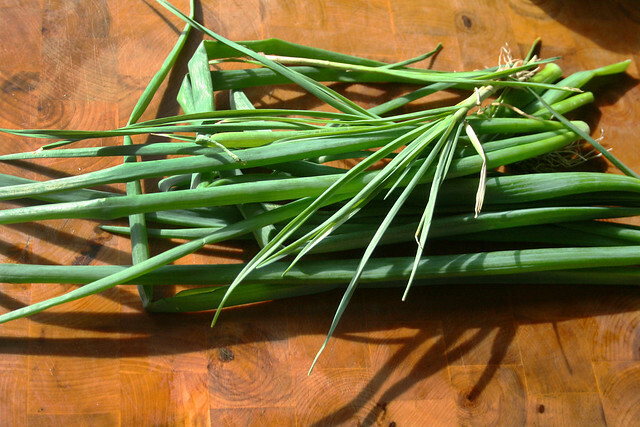 Last year’s mild winter meant we had green onions in our garden, ready to go, all year long. They kept growing with a vengeance. 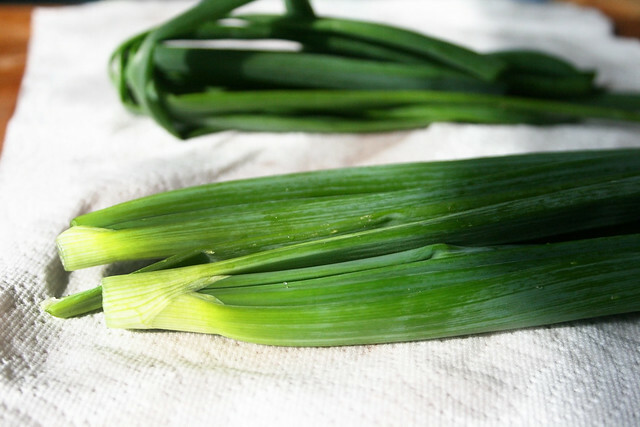 Green onions, also called scallions or spring onions, are edible from white bulb all the the way to the tips of the stems, but the white and green parts are sometimes treated as two different ingredients as their differing texture requires vastly different cooking times. 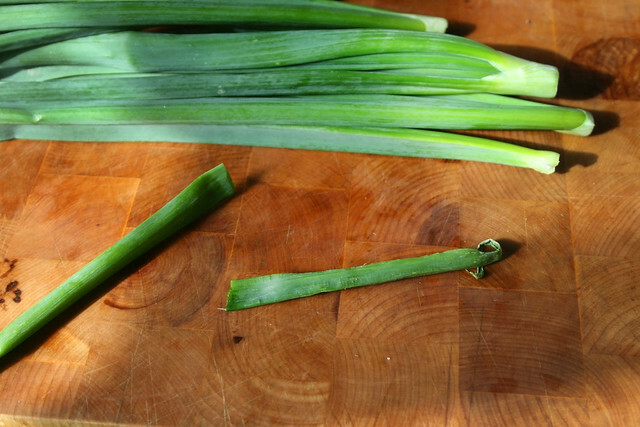 Occasionally a recipe will call for one part of the onion but not the other. 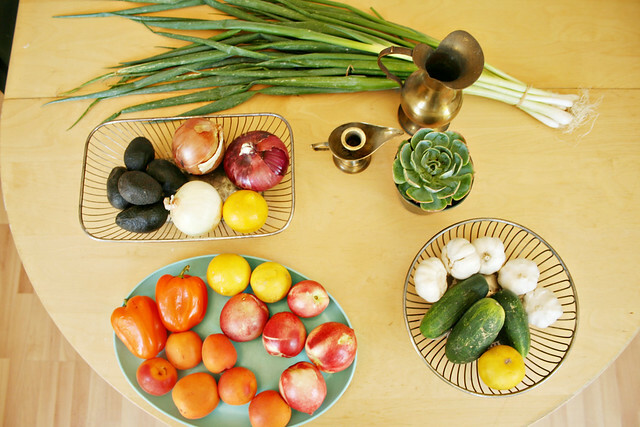 The green part of the onion is more delicate in flavor and structure than the white bulb and to stay fresh require a different method of storage. 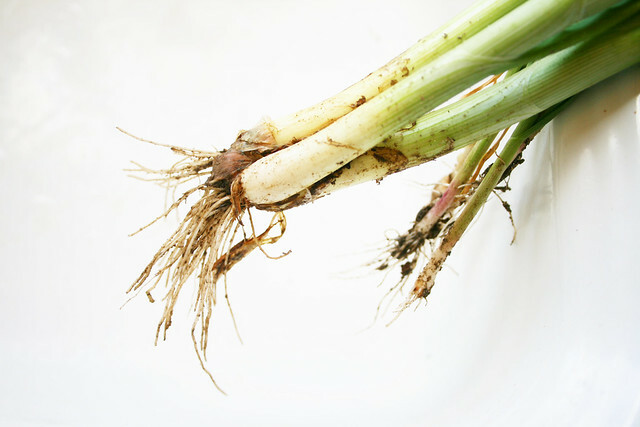 The cool temps of the fridge are great for onion tops, but the lack of humidity not so much, so we need to create an environment that is most without being so wet that things get slimy and gross. 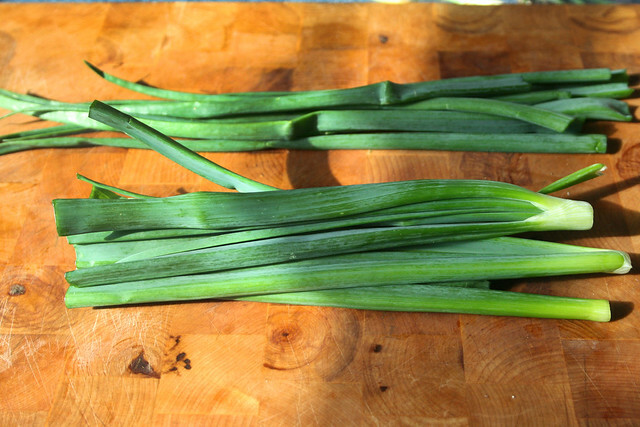 The onions that grew in my garden had really, really long tops so I cut them in half, though I did still have to fold the long tops to get it to fit in the bag. If you remember the trick to keeping most cut herbs fresh, you store them directly in water. 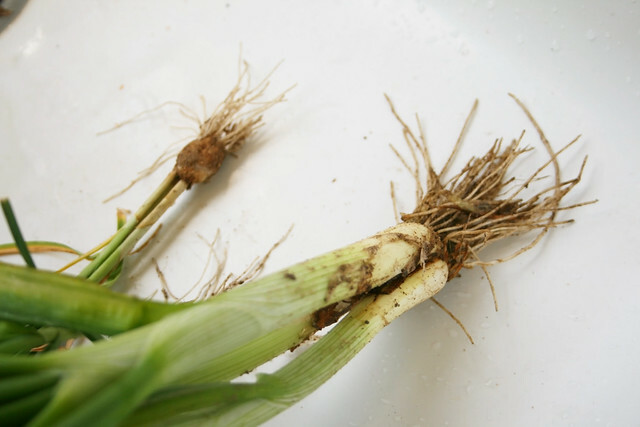 That would not be good for our green onion top friends. 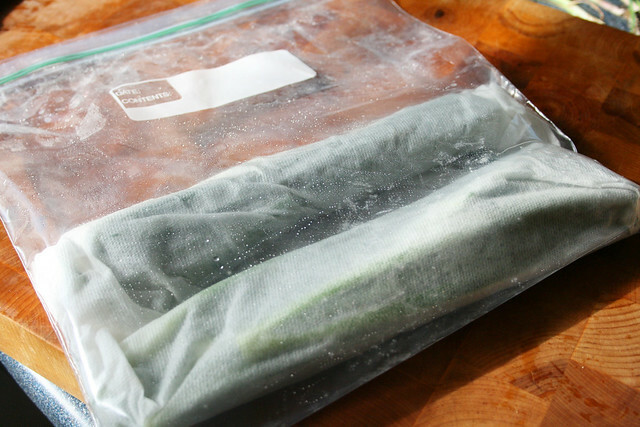 To keep them fresh you need to moisten a paper towel (damp but not dripping) and roll up the tops inside like a soggy burrito. 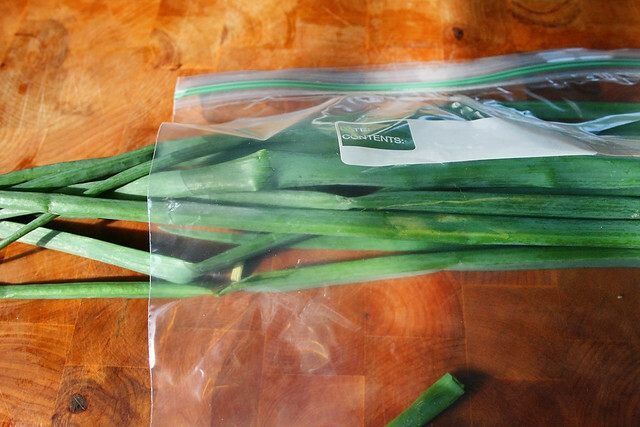 Toss the packets in a plastic bag and you are good to go! They’ll keep handily this way for a few days or so.